Getting into and out of a comfortable sofa chair is difficult for anyone sometimes, but for those with poor shoulder, arm or leg strength it is impossible without the assistance of a caregiver. In fact without assistance in this process it can cause further injury to the user which can often be life threatening depending on the situation and injury. 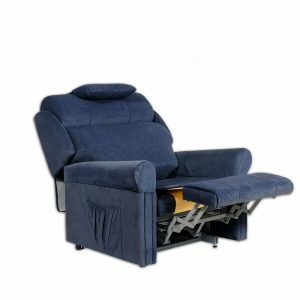 Lift and recline chairs are fitted with powerful motors that can lift the user to a near standing position as well as many other functions namely reclining for the ultimate comfort at home. Lift chairs will often be fitted with single or dual motors. The more motors the chair has the more positions that can be accomplished with independent movement of the backrest, seat and leg rest elements. This picture shows an Ambassador Lift and Recline Chair in the standing position. Ambassador use Linak Motors which are the leading electric actuator/motor manufacturers in the world and can offer and industry best warranty of 5 years for peace of mind. Leg elevation is very important for people who will spend extended periods of time in the lift and recliner. Leg elevation is not only a great way to reduce swelling in the legs (commonly known as fluid retention) but also in the promotion of blood circulation throughout the legs and body. This will also reduce the chances of varicose veins developing in the legs.Most recliner chairs will in some way elevate the feet, but it is important to note that not all chairs will elevate the feet above the required 85-200mm above heart level when fully reclined. In fact if you were watching television with your legs straight out in front of you and not higher than the recommended elevation outlined above then you may be adding more pressure to your legs and making your leg veins worse. Leg elevation, you’ll notice, feels good immediately. It takes the pressure off your leg veins first and foremost, encouraging the blood to flow out of your leg veins emptying them, and undoes the pressure of the day by giving your veins a break for a few hours as blood flow moves away from the legs and courses through the rest of your body. If you have a willing partner, a brief leg massage while your legs are elevated is a blissful way to get rid of the day’s stress, giving your legs some much-needed TLC. The mechanical steel structural strength and integrity that supports the user is detrimental to the long-term health benefits it improves significantly. There are many recliner chairs on the market that may be comfortable and feel sturdy when testing or purchasing brand new, but will drastically deteriorate over time. It is highly recommended to choose a lift chair based on the weight it will carry and also just as important is the warranty the company offers on the structural and mechanical elements. Ambassador lift and recline chairs have an industry best warranty of 5 years for all structural and mechanical parts. When a company offers these type of warranties you know you are getting a product that they are confident will last and its piece of mind. When the structural and mechanical elements of a lift chair fail it can be catastrophic if not detrimental to the health of the user while it is being repaired of replaced. The structural steel frame and lifting points are very important in not only maintaining smooth and continuous movement of the user throughout its lifetime, but also should be interchangeable and replaceable for quick and easy repairs. Ambassador chairs have a patent design where bronze bushels are used on all heavy duty lifting points on all their range of lift chairs for the bariatric. As these points are the most pivotal part of the lifting mechanism it is important to have strong and durable (and replaceable) materials that can handle high loads and continuous movements. Lift chairs are excellent in aiding good posture support in the multiple positions they can perform. Studies have found that the electric lift and recline function in posture supporting chairs maintains muscular tone due to the reduction of lower skeletal joint fatigue and degeneration. This is particularly good for people who need to spend extended periods of time in their lift chair and will greatly improve their posture and health when in the standing position. Seating materials and spring systems can also affect posture when they deteriorate and sag. Ambassador lift chairs have a proprietary design where a solid steel frame is combined with pre-tensioned steel springs for maximum strength, support and durability. Most bariatric or lift chairs will have fabric strapping support which tend to lose shape and sag in time leaving the user with lower back pain, which can adversely effect the users health over time. Occupational Health and safety is a very important element of keeping employees healthy by keeping their workplace and workplace practices safe. Nurses and caregivers that have to continuously help people in and out of beds and chairs are always putting their own bodies on the line if they do not use special equipment or correct lifting techniques. 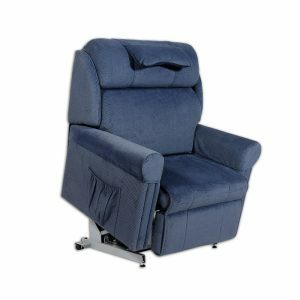 Lift and reline chairs can greatly aid in their involvement particularly in the process of getting the user into the standing position, which is often the hardest and most stressful part without the lift element on a recliner chair. 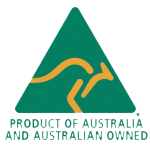 At Ambassador Products we pride ourselves on our Australian designed and built lift and recliner chairs. We have forged a reputation for providing the best quality lift chairs with industry best warranties to back it up. Our electric lift chairs not only provide unprecedented power and reliability but also are designed with luxurious comfort and style. Lift, recline or just sit safely and effortlessly with the touch of a simple hand held controller.